People often believe that air pollution happens only on the outside. However, research has shown that air inside your home is also polluted and may cause serious health complications. Some of the common culprits of poor indoor air quality include dust, chemicals from fragrances, mold, and bacteria. Air quality should be a primary concern since people spend most of the time in indoor spaces. Poor indoor air quality can affect children, the elderly, and people with health problems such as asthma and allergies. Below are some of the ways of improving indoor air quality. Ventilation is a natural way of controlling the quality of your indoor air. Make sure that your living space is well ventilated by opening doors and windows to remove stagnant air that may contain allergens. Since the outside air is most polluted during the middle of the day, it is best to open doors and windows early morning or late in the evening. Alternatively, you can use trickle ventilators to allow fresh outside air to enter your living space. Cleaning the indoor spaces is another way of improving poor indoor air quality. Contaminants such as dust particles and other toxins can accumulate on the furniture and floor, especially on rugs and carpets. There are different ways you can clean the floors. For instance, you can use a vacuum cleaner that contains a HEPA filter. Also, mopping is another way of cleaning the living space and eliminating dust and allergens. Nowadays, there are microfiber mops that clean well by trapping debris instead of just moving it around. Moisture encourages allergens and germs and contributes to poor indoor air quality. Maintaining the humidity levels around 30% to 50% can limit the presence of mold, mildew, and other particles. According to the Center for Disease Control (CDC), exposure to mold can cause upper respiratory problems even in healthy people. You can use a dehumidifier or air conditioner to help control the moisture levels in your home. Cigarette smoke contains over four thousand different chemicals that can settle in your house. Research has shown that exposure to these chemicals can increase the risk of developing respiratory conditions in children and the elderly. Don’t let anyone smoke in the house, and if they smoke on the porch, make sure the doors and windows are shut to keep the smoke from getting inside. Air conditioners are essential in improving air quality in living spaces. The filters that clean the air can get clogged and reduce efficiency. Therefore, it is important to regularly clean or change the air filters and ducts according to the manufacturer’s manual. Synthetic fragrances are found in perfumes and almost every cleaning product. These fragrances contain Volatile Organic Compounds (VOCs) that can significantly reduce the quality of air. Choose products that are fragrance-free and use natural cleaners such as lemon or baking soda for your cleaning needs. Increase ventilation when using aerosols such as hair sprays and fresheners. According to a study by NASA, some plants can help to eliminate contaminants in indoor air. Through the process of photosynthesis, they consume the harmful carbon dioxide and provide oxygen. Other research shows that the microorganisms in potted plants also play a role in eliminating organic chemicals from the air. 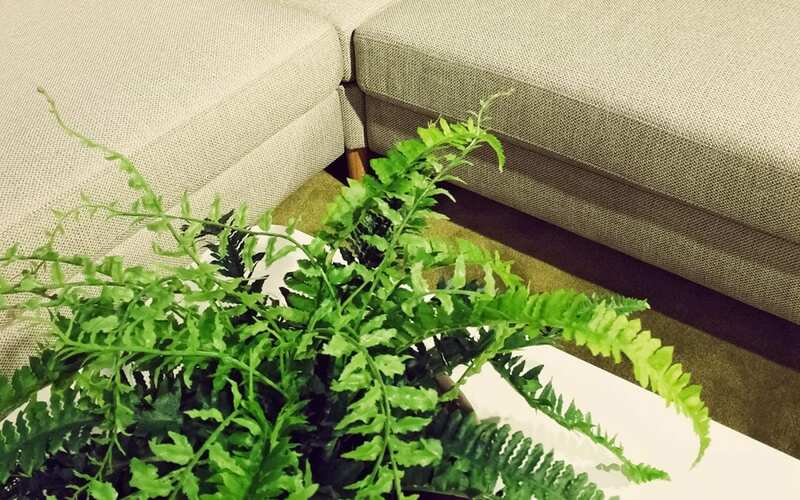 These studies support that indoor plants are natural air purifiers. Some of the plants you can use include bamboo palm, English ivy, and spider plants. Cal Home Inspections provides home inspection services to the Greater Sacramento area. Contact us to book your inspection.